Since it was the first death anniversary of Pratyusha Banerjee and despite the court's stay order on her film 'Hum Kucch Keh Na Sakey' close friend of the actress Kamya Punjabi released the film on 1st April 2017 the 'Balika Vadhu' girl was creating a buzz on social networking sites. Being continued to be on the spotlight the late television actress is again the talk of the town. 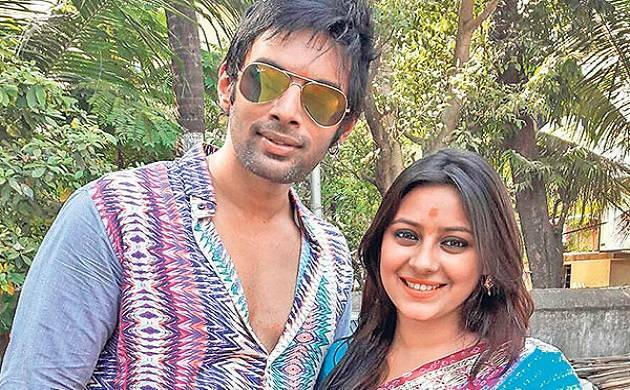 Soma Banerjee, mother of the late 'Balika Vadhu' fame who attended the prayer meet on her daughter's first death anniversary said the actress was not in a live-in relationship with her boy friend Rahul Raj Singh, rather Rahul created pressure on her and started staying at Pratyusha's place after he separated their daughter from them. Breaking down on her daughter's prayer meet Soma said, "After coming to Mumbai, my daughter was not in a live-in relationship, Rahul was staying with us. He conspired, separates our daughter from us, and then started staying at her place, calling it a live-in relation. He conspired, created pressure on my daughter and killed her". "Who is Rahul to Pratyusha? What was his relationship with my late daughter? They were not in a live-in relationship", she further stated while talking with media. Soma Banerjee was accompanied by his husband Shankar Banerjee, Pratyusha's friend and colleague Kamya Punjabi and others. During the meet famous singer Harshdeep Kaur performed one of Pratyusha's favourite song 'Jo Bheji Thi Dua' while her mother plunged into grief. She cried loudly and said "No one has an idea of the pain a mother goes through, my daughter whom I brought back home as baby, and later as a body... a dead body from hospital... how will I live my life with this memory? How? Who will call me ‘Ma’?" Pratyusha, best known as Anandi found death on last year April after she hanged herself in her apartment place in Mumbai.